Fugu, or puffer fish, is a delicacy over in Japan that might just actually kill you if it is not prepared in the right manner, no thanks to the kind of toxins that lie within the deadly puffer fish. Well, here is a safe representation of this particular aqualine animal, as it does not kill, but rather, contributes in a positive manner to your life – by controlling dryer static and decreasing dryer time, all the while simultaneously fluffing fabric, now how about that? Forget about using chemicals, as you make use of these extremely cute and hypoallergenic puffer pals when it comes to softening your clothes. 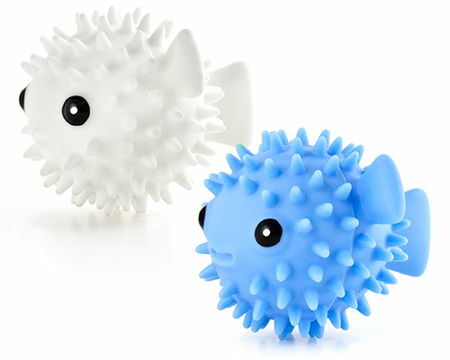 Each $7.99 Puffer Fish Dryer Buddies purchase comprises of 2 puffer fish.